If you like large chunky necklaces ------ this necklace is for you ! The stone is a beautiful Noreena Jasper from Western Australia. 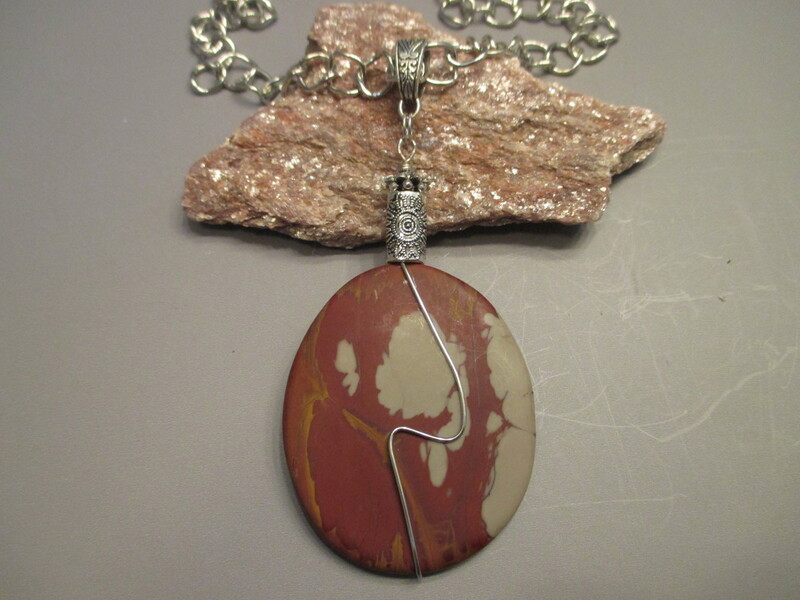 A simple wire wrap design was added to compliment the stone. The pendant measures about 4" long and 1 3/4" wide. The chain is a 24" large ring style in silver tone metal. One only !